This time it’s a HSM 1160 which has been through Mardon’s comprehensive refurbishment program where no compromise is made on quality and retains the integrity of the original machine. 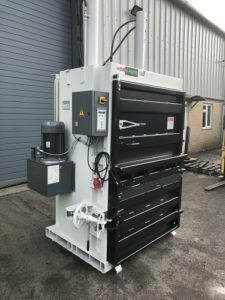 This fully refurbished recycling machine is now ready for dispatch. All of Mardon refurbished recycling machines come with a minimum of six months parts and labour warranty. We carry huge stocks of recycling equipment including Balers, vertical, horizontal and compactors which are awaiting refurbishment as well vast stocks of new equipment.